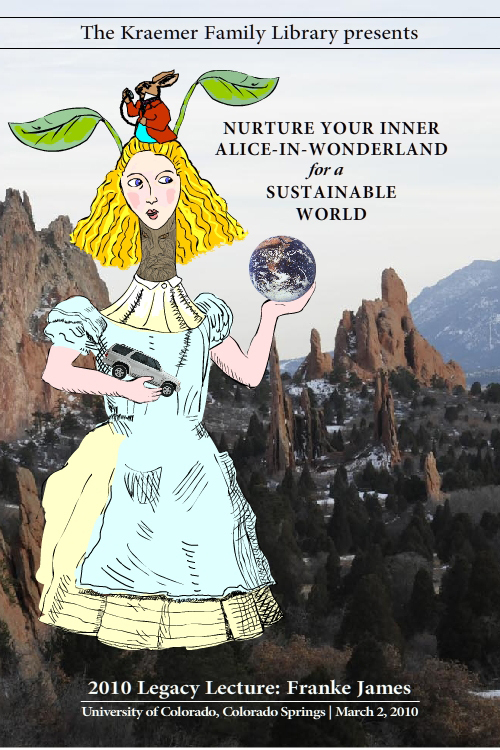 On March 2nd, I presented “Nurture your inner-Alice-in-Wonderland for a Sustainable World” as the 2010 Legacy Lecture at the University of Colorado. 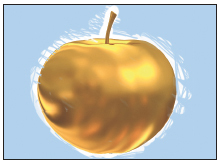 I drew on real-life stories to illustrate how I’ve made change happen — and students could too. But the pivotal story in retrospect was Paradise Unpaved. It’s my personal story about overcoming opposition from City Hall and winning the right to build a green driveway. Pivotal because their green initiative is shaping up to be a political battle. So what was the “hardest thing” the students chose to do? They focused on two issues: 1) Phasing out the sale of bottled water on campus; and 2) Student Newspaper to Go Paperless by 2015. Both initiatives will be voted on May 10th by the student body. But the one that might appear to be a slam-dunk, is actually turning into a battle. Five years to transition from paper to digital is unbearably drastic? Five years sounds like a leisurely stroll for a ninety-year old (except they’d probably die before they reached their goal). When I got wind of this development (Twitter is so useful), I wondered how the “us versus them” mentality that is so evident in Tim’s article could have been avoided. 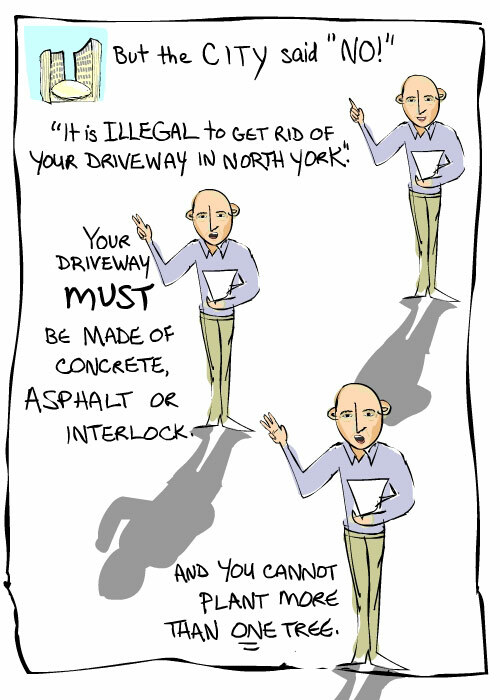 I also thought about how I approached opposition to our green driveway; the compromises I made in the design to satisfy the city; the support I got from people like Lloyd Alter at Treehugger, who thought it was a good idea — and encouraged me. And how I eventually secured a pilot permit from Toronto City Hall for the first green driveway in our area. The first political skill to use is putting yourself in the other person’s shoes — and it’s not as “touchy-feely” as it might appear. It’s a technique that lawyers use regularly. In order to defend a client’s interests, the lawyer must understand the problem from the opposing point of view. Even if you don’t agree in the slightest, it can give you valuable insight into how the other side will react. As they say, forewarned is forearmed. Could anyone have anticipated Tim’s angry response? I think it was predictable. You only have to think about how you would feel if someone threatened your livelihood, and tried to impose change without your input. It’s just human nature to react defensively. Tim’s article states clearly what he’s fearful of losing: 1. Advertising 2. Jobs 3. Editorial independence. Knowing what Tim’s concerns are gives the students a great script to work with. They need to counter his arguments that going paperless will result in lost revenue, jobs, and independence — and point to the many opportunities it presents. Making change happen is often about power. In this situation all the stakeholders (the “green” students, the University Administration, the Scribe newspaper, and the Student body) have varying degrees of power. My understanding is that now that the motion has been added to the ballot for voting, the Student body holds the most power. They can approve or defeat the motion. The green students’ urgent challenge is to leverage their ‘powers of persuasion’ to convince as many students as possible to vote for the paperless motion. Just like in a political campaign, the green students have to work to get out the vote. However, the Scribe has a big advantage — they can publish their views in print, online and via Twitter. The green students are using Facebook (where UCCS students are very active) to boost support. They could also leverage Twitter more, plus events (on or off campus) to raise awareness and get out the vote. Coverage on environmental blogs (see my shortlist at the end for campus specific ones) could be within their reach as well. Overall, this presents an opportunity for the green UCCS students to create a grass-roots ad campaign which separates fact from fiction — and tells everyone why the paperless scribe is in UCCS’ best interests and should go ahead. Are Tim Canon and the Scribe, acting in the best interests of the university and the students by writing that the paperless motion will be “killing the student news”? I’m sure if you asked Tim, he would say “absolutely”… and he likely believes it too. He feels he’s protecting student jobs. 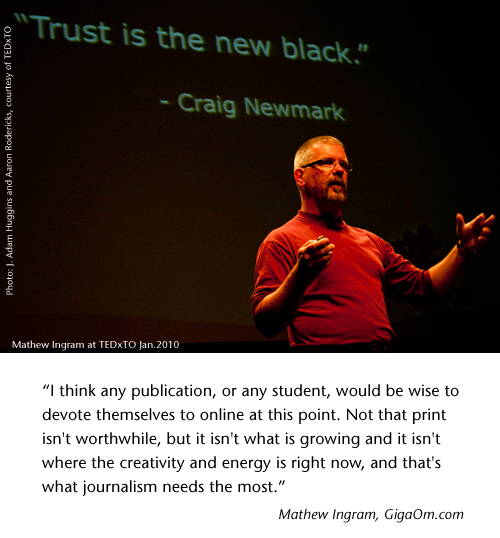 But the world is rapidly changing and the news industry is undergoing massive change. Whatever career students are aiming for, expertise in the digital realm is not just an asset: they are critical skills every student must have. 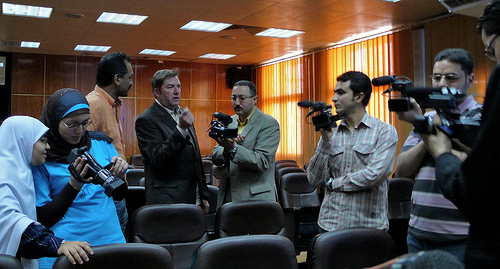 I also contacted Robb Montgomery, who trains staff at major newspapers in more than 20 countries. 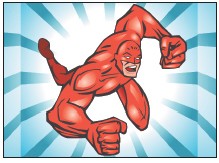 Robb really understands the challenge of newsrooms moving from paper to digital, because his new media workshops help journalists and media professionals make the leap! “It’s an interesting issue. Tim, the managing editor, makes the traditional business case to keep publishing a print edition. 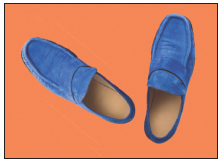 Advertising rates preserve the editorial independence. That’s a critical issue in a university setting where keeping the paper in the control of its student editors is a difference-maker. At the same time it would make great sense for small publishers to begin to offer print readers a mobile version of the paper and take full advantage of what mobile interaction brings. Frictionless transaction processing, social media sharing and the great opportunity to create a news edition that more fully involves contributions from readers and creative opportunities for advertisers and sponsors. Online (Web editions of newspapers) have not been a big money maker for small publishers. But after spending one week using an iPad, I can assure you that the mobile/tablet experience is an entirely different engagement. Are newspapers going digital for environmental or technological reasons? Are newspapers going digital for environmental or technological reasons? It’s a win either way. It could easily be both. Could UCCS be the first to do an iPad app? And attract world wide PR? ACU’s student newspaper, The Optimist, has become the first student newspaper to publish on Apple’s new iPad tablet device. So, UCCS can’t be the first student newspaper to do an iPad app, but if the Scribe embraced the shift to paperless, it could be a great training ground for students to jump into today’s most vibrant and creative news world. It could position UCCS as technological leaders, and environmental leaders. And it would better prepare ALL students for the digital competition they’ll face in finding jobs in any industry. Sounds like a winner to me. Getting communities to be greener may be more about helping them see the financial opportunity or the PR buzz — than the environmental benefits. While every area has challenges unique to them — Colorado Springs has some that would tax even the most ardent environmentalist. For example, recycling in Toronto is so easy for me I take it for granted. We have curbside pickup which makes it a no-brainer. Also, we’re charged extra for garbage, but nothing for recycling. Whereas, in Colorado Springs, you have to drive your recycling to a variety of depots — depending on the material — or pay a hauler to pick it up. The United States has a long way to go in tackling the recycling issue. They only have 8,500 curbside pickup programs in the whole country. It’s the campuses around the world where we’re really going to see environmental activism blossom. Help get the word out about the UCCS Changing Place mission by 1) tweeting this article 2) spreading the word on Facebook and 3) sharing it with environmental activists and news organizations. 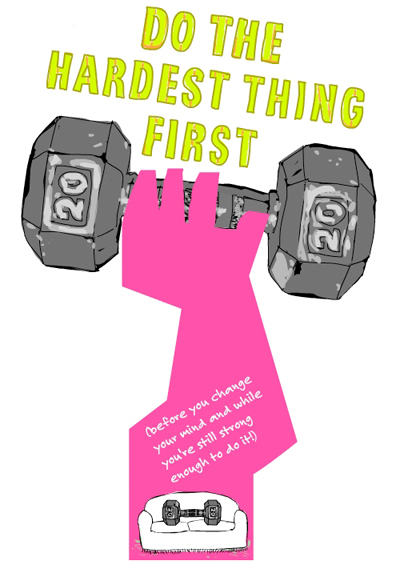 I love this challenge to students: do the hardest thing first. I wonder, though, about the environmental angle on e-media. Yes, it saves trees. But when we consider the entire system required for electronic production and delivery, I’m not sure the environmental equation is as simple as we might like to think. There’s the extraction of materials, the production of hardware on both the production and receiving end (which requires energy and produces waste); the transportation of equipment to points of purchase, the packaging, the energy required to run the systems (from server farms to individual computers); and then there’s the environmental cost of continually upgrading systems and equipment. On average, we’re replacing computers at the rate of every 2-3 years. So that’s a lot of obsolete equipment piling up at a pretty astronomical rate–some gets recycled, but most doesn’t. At all stages of production (extraction, manufacturing, transportation, disposal), there’s a trail of toxic waste and atmospheric gases. So I’d love it if someone with more skills than mine (maybe a good task for students) to figure out what’s more environmentally sound: the system that produces newspapers or the one that produces e-news. To answer your question directly, several studies (one by Green Biz) are out saying the benefit of digital is not as clear as we may think — when you take into account the life cycle of the computer industry. That said, digital devices are something we all use multiple times a day — whereas the newspaper gets read once (or maybe not even read) and thrown out. Which would you choose to get rid of if you had to make a choice? Your laptop or your newspaper? For me, it’s no question. The newspaper on newsprint is a disposable luxury. It’s unnecessary. I also wonder whether the studies are funded by the pulp and paper or printing industry… They have a lot to lose. And what I’m seeing in our design client’s behavior is that many are dropping print. It makes sense — the savings in printing costs by going paperless are substantial. We have clients who have discontinued printing annual sales brochures and justified it by hopping on the green bandwagon. One client’s savings have been upwards of fifty thousands dollars. See my recent post on the dilemma of piles of newspapers…. Thanks for taking the time to comment! Much appreciate it and the opportunity for discussion. When routine and revenue are set as precedence over available technology enhancements there’s only one thing that ever happens; Regret. Clay Shirky has said, when we change the way we communicate we change society. I figure we either work with these new methods bringing the best of both the past and future to action or dig in our heels, sigh. From my perspective newspapers really aren’t about the “paper” but about the NEWS, the paper is simply how the “news” is delivered. How many ways can the news be delivered to include as many people as possible in ways that engage and influence? I’d love to see UCCS students/faculty engage with and build on the work of ACU students and faculty to continue to evolve a greener path for news. Phasing out and phasing in will be key (and you have five years) but I believe students with this kind of commitment can do it and do it in a way that honors the past while creating the future. Five years will pass whether anything changes for the better or not – why not do something that makes a difference? Kudos for taking on the hardest thing first and I’ll be eagerly following your story. “The digital age may claim another victim. The residential White Pages, those inches-thick tomes of fine-print telephone listings that may be most useful as doorstops, could stop landing with a thud on doorsteps across New York later this year. “One answer is in a new program at the University of Colorado, Boulder, called Boulder Digital Works, where Ms. Egan is a board member.